THURSDAY, March 7, 2019 (HealthDay News) -- When you're diagnosed with diabetes, your doctor is likely to start you on a program to lower blood sugar and help insulin work more efficiently -- a regimen that may include a modified diet, exercise and possibly medication. Starting (or ramping up) an exercise program can be the hardest of all these lifestyle changes. Typical exercise guidelines to help manage type 2 diabetes recommend 150 minutes a week of moderate to vigorous aerobic exercise, plus strength training on two or three days. Meeting these goals, especially exercising for 30 minutes on most days, is a stumbling block for people who aren't used to working out. And, unfortunately, many people with diabetes stay sedentary. But a study published in the journal Diabetes Care found an alternative that may be less taxing and more effective. The study looked at whether short but very frequent bouts of walking or strength training -- three minutes every half-hour during an eight-hour workday -- could improve the health of diabetics. For the walking study, participants walked on a flat treadmill at a pace of two miles per hour for each of their 16 daily three-minute stints (roughly 1/10 of a mile or 200 to 250 steps, depending on your stride). For the strength training, each three-minute stint included 20-second segments alternating half-squats, calf raises, glute contractions and alternating knee raises, using only participants' own body weight. Researchers found that the approach improved many of the participants' health markers, including blood sugar and insulin. While 48 minutes of exercise a day is higher than guideline minimums, the mini-sessions themselves are less strenuous than a single 30-minute workout. 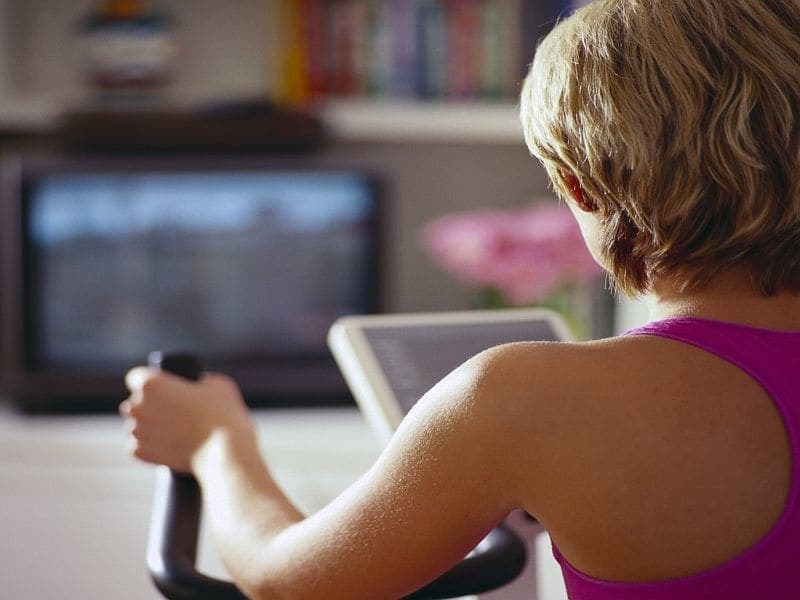 Plus, getting up every half-hour can help to overcome the dangers of sitting for long hours. Whether you walk or strength-train or do a mix of both, this approach is also a great first step to incorporating exercise into your life and getting the confidence to take on other fitness activities. You can read more about walking for exercise from the American Diabetes Association.